Union Finance Minister Arun Jaitley on 19 May,said that the Goods and Services Tax (GST) Bill, which is to exempt the daily-use commodities from the levy, is going to be more efficient and a consumer friendly taxation system. 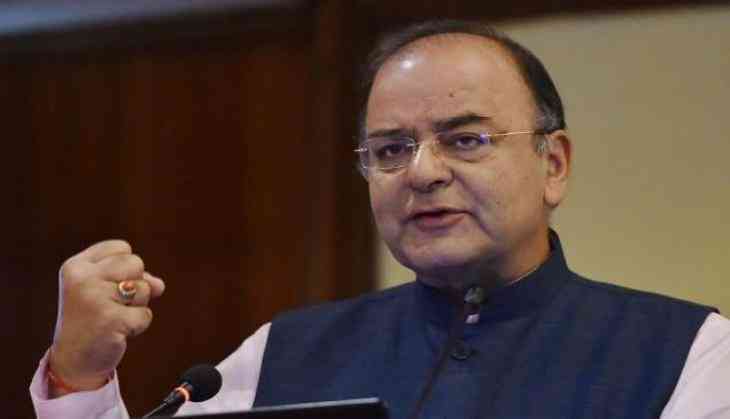 "Four different rate slab for services are five percent, 12 percent, standard rate of 18 percent and luxury rate of 28 percent, out of which five percent mostly comprises of transport services," said Jaitley while addressing the media in Srinagar. "GST in relation to the services sector was completely adopted in today's meeting. Depending on the nature of service, there are various categorizations which have been made with a set of services, which have been exempted at present," Jaitley added. "Other services are fitted into rates such as 5, 12, 18, and luxury rate of 28 percent," he said while announcing that five percent rates comprises of transport services. "Restaurants with a turn-over of 50 lakhs or below can go over with a composition of five percent," said the Union Finance Minister while adding that service tax on non air-conditioned restaurants will be 12 percent, and that on air-conditioned and liquor license will be 18 percent. Earlier, the GST Council decided to exempt the daily-use commodities from the levy. Prices of food-grains, especially wheat and rice, will come down as they will be exempted from the GST. Currently, some states levy Value Added Tax (VAT) on them. Daily-use items like sugar, tea, coffee (barring instant coffee), edible oil and life-saving drugs will attract the lowest tax rate of five percent, almost the same as current incidence. Milk and curd will continue to be exempted from taxation when the GST replaces current indirect taxes. 'Mithai' or sweets will attract five percent levy. The common use products like hair oil, soaps and toothpaste will be charged with a single national sales tax or GST of 18 percent instead of present 22-24 percent tax incidence through a combination of central and state government levies. The Council fitted all but six items in 5, 12, 18 or 28 percent tax brackets. Seven percent of the items fall under the exemption list while 14 percent have been put in the lowest tax bracket of 5 percent. 17 percent items are in 12 percent tax bracket, 43 percent in 18 percent tax slab and only 19 percent of goods fall in the top tax bracket of 28 percent. Cars, ACs, refrigerators and aerated drinks will be in 28 percent bracket. cars will attract 3 percent and luxury cars 15 percent.